You read that right – a giveaway from my sponsor! Three Times the Giggles has it’s first official sponsor! I’ve been approached a handful of times in the past, but always from companies I’d never heard of, and I wasn’t sure how to proceed. When my friend Maggie, at Lily Cole Designs contacted me to see about doing a giveaway and paying for ad space I was ready and willing! I’ll let the owner introduce herself to you all! Hello, my name is Maggie. As the creator and owner of Lily Cole Designs, I strive to add color to your life. You will find whimsical illustrations, note cards and other creative treasures in my shop. I want you to love what you hang on your walls, so all illustrations can be customized and personalized. New products coming soon so keep checking back. I first met Maggie several years ago when we were in the same mom’s group. She is a fabulous person that everyone should want to get to know! I was so excited for her when she first started Lily Cole Designs, and I’m thrilled with how the business has grown for her. If you happen to live in the Kansas City area, be sure to check out her little section at The Mommy Shop in south Overland Park! If don’t live here, you can browse all of her creations on her Etsy Site. 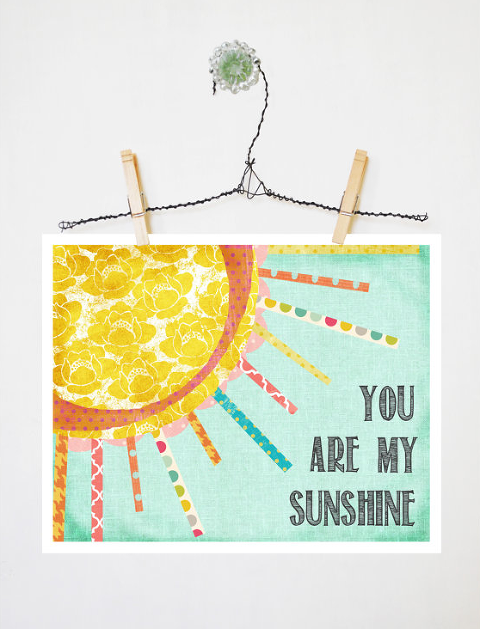 Maggie has some seriously cute 8×10 prints, that are fully customizable! I love, love, love this one! My dad still calls me “Sunshine” to this day, so this song always makes me think of him. I sing it to my own kids now and hope they’ll always think of me when they’re older and hear the song or see those words. 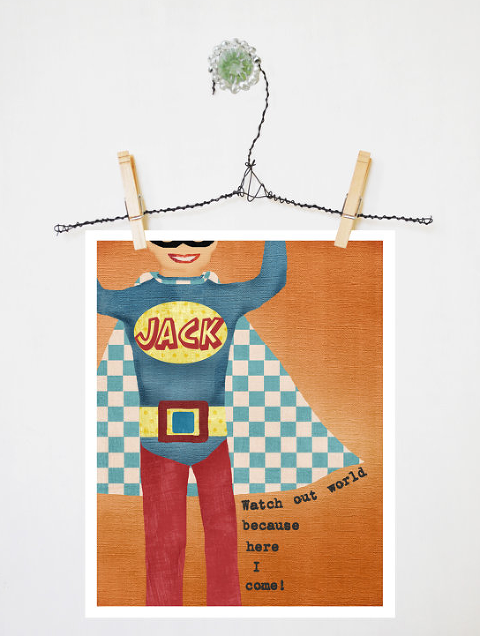 How fun would that one be, hanging in a little boy’s room? She also has a girl version which is equally adorable. 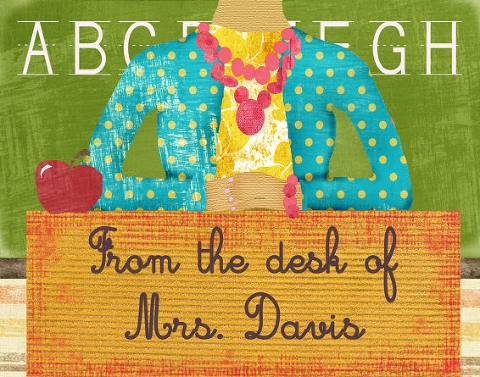 Lily Cole Designs also has some fun, personalized teacher note cards! Hello, Christmas or end of year teacher gifts! That, ladies and gentleman, is a piece of child’s artwork, that has been embroidered onto cloth and is now perfect for framing and displaying! 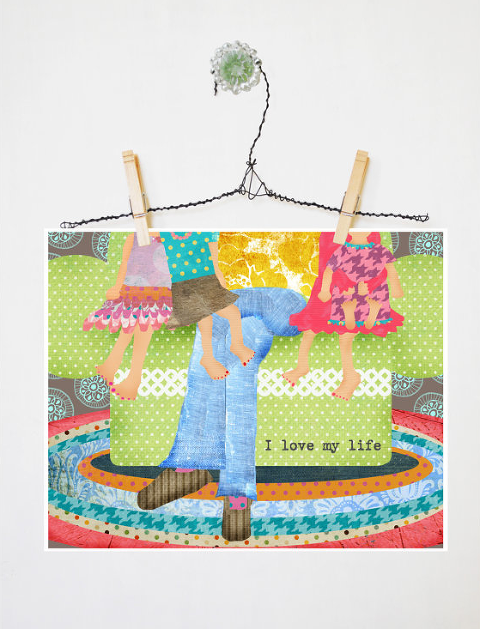 How fun would it be to find some of those early self-portraits your kids did and send them to Maggie to embroider? I love this idea! Maggie has generously offered a 10% discount code to my readers! Simply enter the code THREETIMES at checkout. You can get to her site easily, by clicking the Lily Cole Designs logo at the top of this post, or at the top of the right hand sidebar here on the site. One lucky winner will receive their choice of an 8×10 print. You can completely customize it by adding names, altering the quote, or keep it as is. Giveaway is only open to US Residents, and we’ll be using that handy little Rafflecopter entry method again. While I am receiving payment from Lily Cole Designs to place an ad on my site, the opinions about Maggie and her company on this post are very much my own. She’s awesome and you all will love her – promise!